Grundarfjörður is a beautiful little fishing town conveniently located in the middle of Snæfellsnes peninsula, surrounded by a magnificent mountain range. Mt. Kirkjufell is Grundarfjörður‘s world famous landmark, which has caught the attention of photographers and film makers from around the world and attracted them to Grundarfjörður. 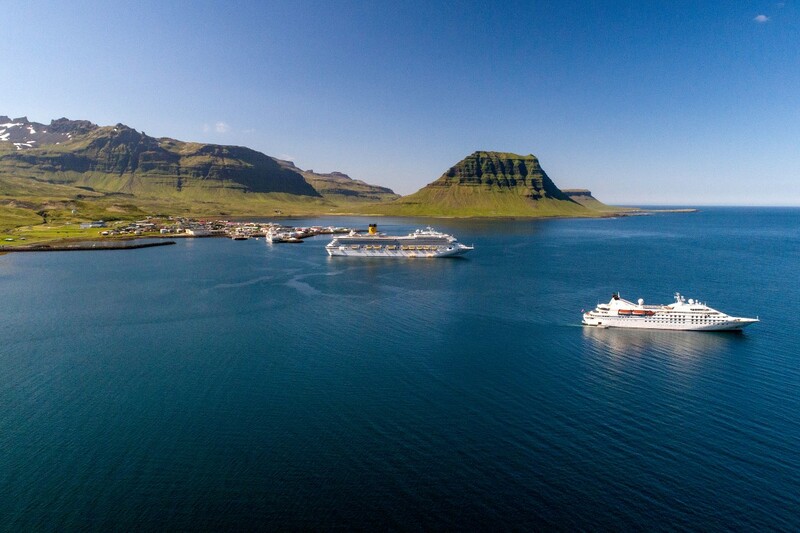 Around Grundarfjörður nature abounds with vibrant birdlife, spectacular waterfalls and great hiking trails. Exciting marine visitors such as seals and whales put in an appearance every now and then. The town’s inhabitants make every effort to make a cruise ship‘s visit comfortable and memorable for passengers and crew alike. During summer the town truly comes alive in various ways. The local Viking Association has built a small Viking village in the town centre where the Viking age re-enactments are often the highlight of the day for cruise ship passengers. The swimming pool with its hot tubs is just one of a number of exciting services around the town. There is also a nine-hole golf course, restaurants, coffee shops, horse rentals, a pharmacy, a liquor store, a dry cleaning and laundry service and a grocery store. An information centre with a coffee shop and a heritage museum is located at the heart of the town, just a few steps away from the pier. Planned expansion : Our plan is to start building the expansion of Nordurgardur 2019 about 130 meters and then 10 meters below the lowest tide. 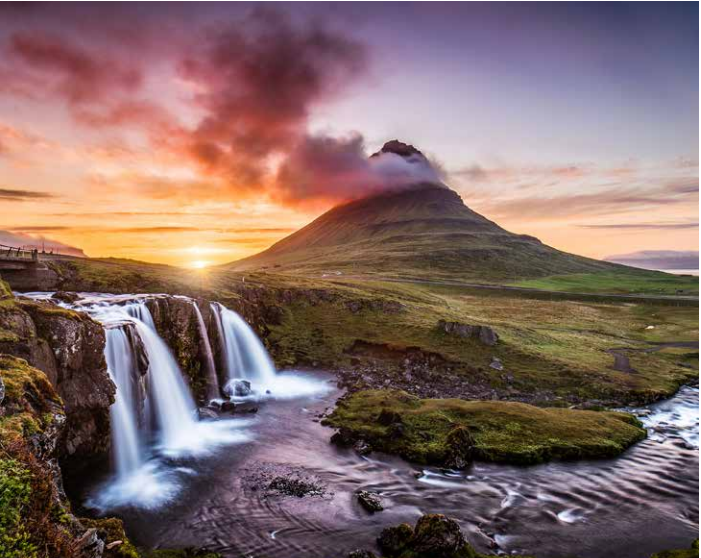 Snæfellsnes peninsula is about 90 km long and consists of a diverse and magical landscape with a magnificent mountain range of high rugged peaks formed by volcanic activity and shaped by the grinding force of the glacier, which is also an active volcano. Snæfellsjökull glacier towers over the National Park at the far end of the peninsula and is considered by many to be one of the most beautiful mountains in the country. Snæfellsjökull is believed to be one of the seven main energy centres of the earth, and has inspired many poets, writers and artists throughout the years, as well as filled them with its energy. Snæfellsnes has a lot more to offer than the majestic glacier. Points of historical and cultural interest are dotted all over the peninsula, with Cave Vatnshellir, The Heritage Centre in Grundarfjörður, the Norwegian House in Stykkishólmur, Bjarnarhöfn shark-curing farm and the ECO-tours from Brekkubær at Hellnar, being just a few examples. The major West Iceland historical sights of Eiríksstaðir and Reykholt/Snorrastofa are also within driving distance from Grundarfjörður. Volumes could be written about the natural and cultural assets of Snæfellsnes, but in short, these are mostly based on uniquely diverse geology, folklore, sagas, ecology and food.